Whose Saint Is It Anyway? Home » Magazine » Arts & Entertainment » Whose Saint Is It Anyway? Sonal Sarda	July 28, 2014 00:00 IST Whose Saint Is It Anyway? Early mornings in Chennai or Hyderabad, along with the azaan call and ringing of temple bells, amidst the aroma of steaming idlis and filter coffee, the strains of a Thyagaraja kirtanai too will waft in the air. 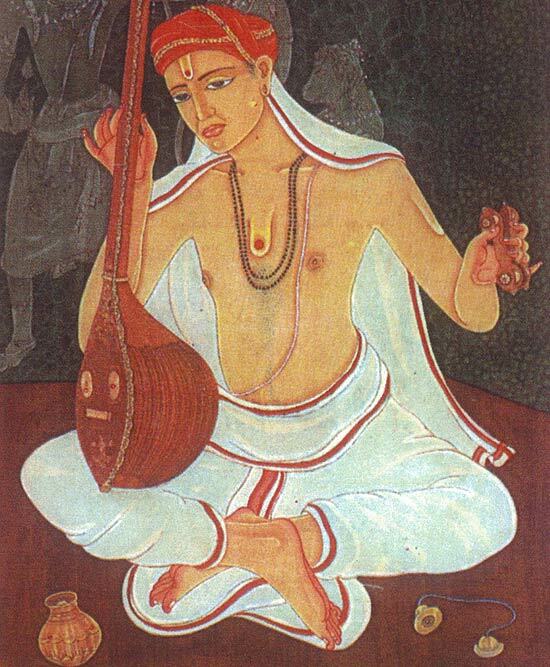 But who owns Thyagaraja’s music? 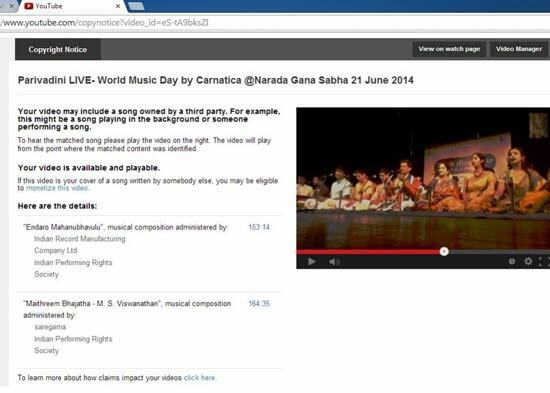 Big music labels claim it’s theirs and music channels on YouTube that upload videos of Carnatic music concerts face their wrath and an unequal battle. Musicians say the algorithm which YouTube uses to identify potential infri­ngements needs to modified to make it sensitive to the demands and intricacies of classical music. There should not be blanket application of technology to all forms of music without understanding the nuances. The continuing potency of ‘copyright claims’ vis-a-vis YouTube poses problems, threatening the very survival of music channels. If they rec­eive three copyright (CR) strikes, or three legal notices claiming copyright vio­lations, the channel itself gets terminated. Even a single CR strike leads to loss of access to several YouTube features. Of course, when a channel faces a partial crackdown or a total blackout, it is denied a fair opportunity to make money too. If copyright violation claims go undisputed, the money goes to the labels. S.A. Karthik, a Bangalore-based lawyer and a musician, finds it hard to believe that anybody can claim copyright over the compositions of Thyagaraja, because they are clearly in public domain. Clearly, there is a need to distinguish between ground-level copyright over com­positions and copyright over sound recordings performed by artistes. Anybody who deals in a sound recording, the rights to which have been acquired by a recording label, without the latter’s permission, infringes the label’s copyright. But anybody who wishes to perform the same composition as that of the recording can do so without permission from the music label, as long as it is in public domain. This is because there can be no copyright over such songs. “Under present laws, copyright protection on a particular artwork lasts for a period of 60 years after the death of the artiste. But in this particular case, since there are no descendants of Thyagaraja who can claim copyright, and he has been long dead, there can be absolutely no claim of copyright on his songs,” says Shamnad Basheer, formerly with Intellectual Pro­perty Law at the National University of Juridical Sciences. “But what is happening is that music companies claiming copyright over the compositions are foo­ling the public,” he says. What they are doing is known as ‘copyfraud’, where they lead the public into believing that they are the true copyright holders of var­ious artworks, and thus extract royalty from unsuspecting small channels. This is not unique to classical music. A lot of collecting societies (those who man­age the rights to music on behalf of labels) have been doing this—they extract money from restaurants, clubs and so on, claiming copyright over the music being played. Copyright lawyers say the reason why it still continues is because big labels still haven’t been confronted by an opponent strong enough for a bare-knuckle showdown in court. “These are big com­panies with resources, unlike small music channels like us, who often do not engage in fightback,” says Lalitharam. The need perhaps is for small cha­nnels to come together and fight as a group. At stake is the survival of a relatively niche space like Carnatic music on YouTube.